On Friday I went to The Handmade Fair for the first time and despite the heavy rain for much of the day thoroughly enjoyed it. I came away with lots of inspiration so wanted to share some of my highlights with you guys. Probably what I liked best was being reminded what a lovely group of people crafters are, everyone I spoke to was super friendly and it was great to chat to the exhibitors about their products and hear about what they are doing with their business as well as how they got to where they are. The product I was most impressed by was this kingfisher applique and machine embroidery cushion by Jessalli who runs the machine embroidery workshops at Tilly and the Buttons. Isn’t it stunning? 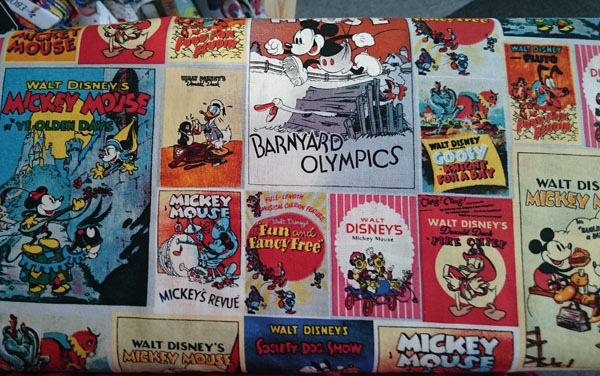 Lovely Jubbly Fabrics who caught my eye with a variety of fun Disney prints. 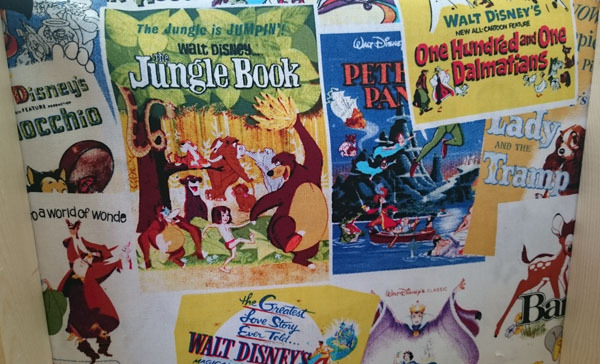 They are more quilting fabrics than dressmaking fabrics, but if I start doing some quilting I’ll be remembering them! 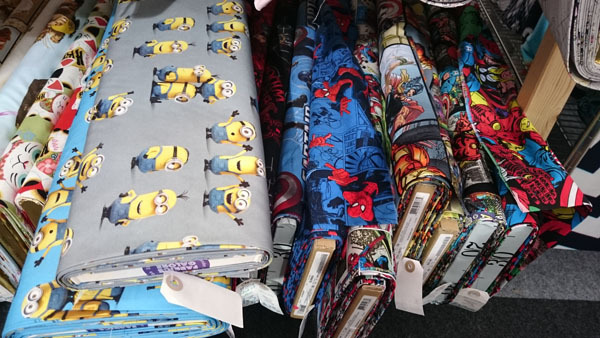 On a similar theme, I was also drawn to some minions and superheros fabric at Fabrics Galore. No photo I’m afraid, but I was really tempted by the lovely rayon and jersey prints at Maud’s Fabric Finds, most of which were organic. I didn’t buy anything this time, but the link has definitely been bookmarked! For a breather from the hustle and bustle of the exhibitors tents, I went to a couple of talks including Cath Kidston who had some great stories about turning mistakes into opportunities. 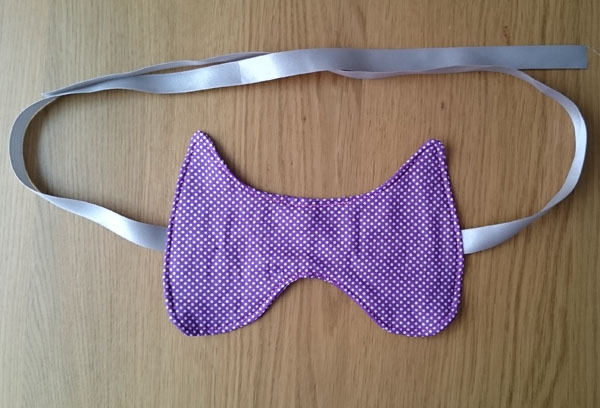 I also had a go at one of the many workshops – making cat eye masks with Elisalex from By Hand London. 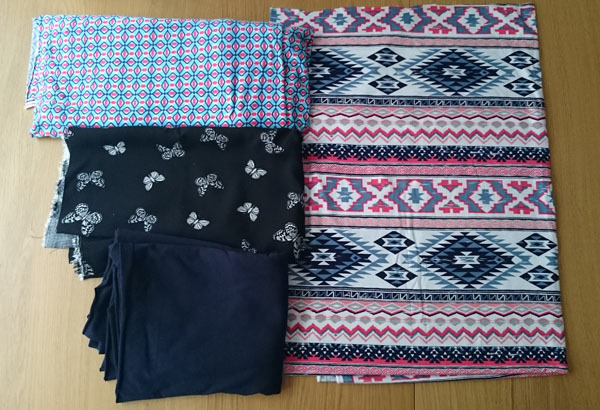 Two cotton, rayon and spandex mix prints (that are lovely and soft): first, second. A solid navy blue cotton/spandex mix. And a butterfly woven viscose. Dark Matters were selling a selection of vegan brownies, mine was scoffed before I could take a photo! 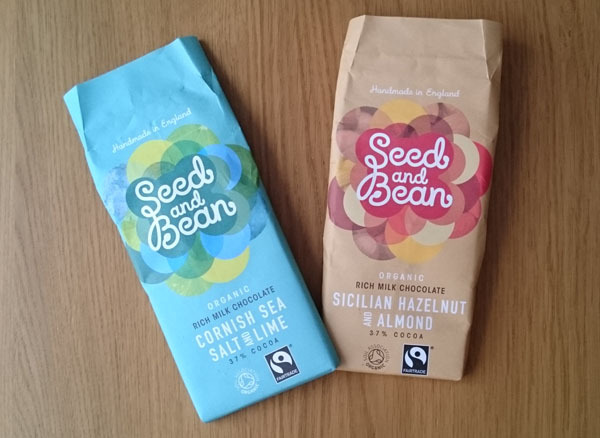 And I’d not heard of Seed and Bean chocolate before, but they had lots of interesting flavours. The two I chose are so tasty that they won’t last long! Overall a very enjoyable day, think I may be back next year! Have you been to any craft fairs? That sounds and looks like a really fun day. I was tempted to go but work commitments meant I was not free on the weekend anyway. Maybe next year? That kingfisher is amazing! I have days where I can barely stitch a right-angled corner with my machine, never mind an entire bird. Yeah, isn’t it just! 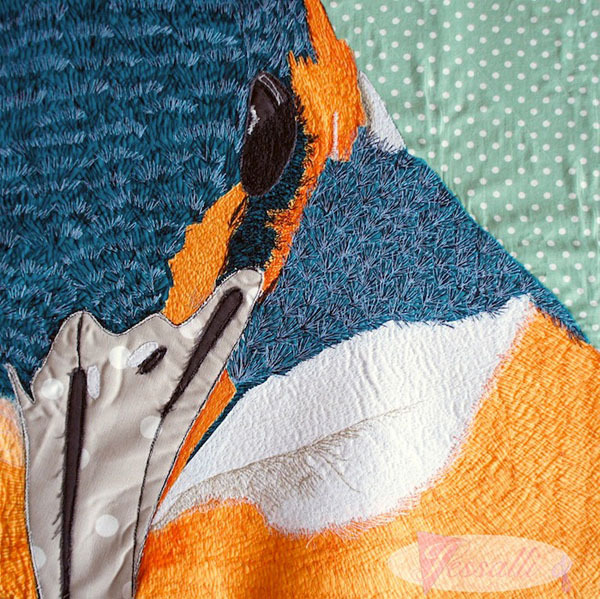 Jessalli has other works of fabric art on her website including Alice in Wonderland and bespoke wedding portraits, but the kingfisher was my favourite. She said she can now write better on her sewing machine than by hand!